Bassano del Grappa is located at the point where river Brenta comes out of the mountains and flows in the lowlands at the borders of Vicenza, Treviso and Padua. In the last months of World War I, the city valorously resisted repeated attacks of Austro-Hungarian troops trying to advance into the Venetian plain and destroy the Italian army. Situated just north of the famous Palladian wooden bridge, on the eastern river bank, Ca’ Erizzo is a fifteenth-century that underwent remodeling and later additions. In 1918, the villa was the seat of Section 1 of the American Red Cross ambulance units. John Dos Passos, Dudley Poore, and John Howard Lawson were among the many voluntary drivers stationed at the villa during World War I. Three months after he was wounded in Fossalta di Piave, Ernest Hemingway also stayed at Ca' Erizzo. His 1919 story “The Woppian Way” or “The Passing of Pickles McCarty” (MS 843) includes a detailed description of Ca’ Erizzo and the Arditi, the elite assault troops who were based at Bassano at the time. 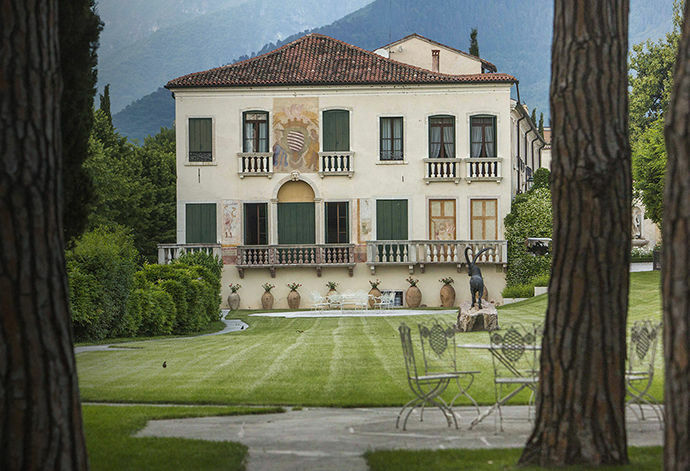 Dr. Renato Luca, the present owner, renovated the villa and opened Fondazione Luca's “Hemingway and the Great War Museum”, a collection of meticulously researched photographs and documents along with first editions of Ernest Hemingway in English and Italian. The museum occupies five rooms on street level. The exhibition area consists of 58 large panels displaying archival documents, pictures, and personal accounts of soldiers who fought during World War I. Charged with the evocative power of that tragic war, the museum recounts the stages of the war in chronological order, while providing a unique account of the United States participation in World War I. 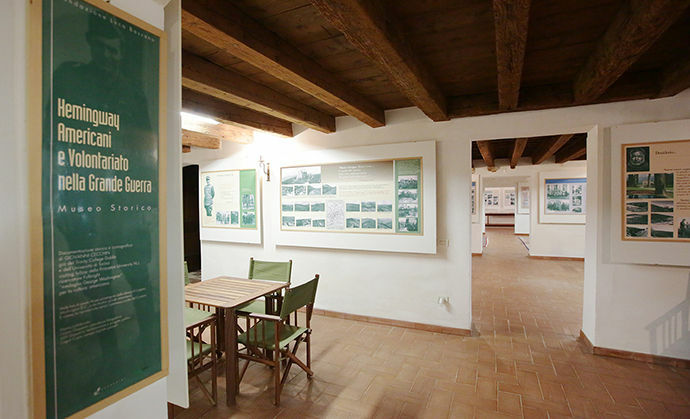 In the entrance hall, the visitor is welcomed by a panel displaying information on Hemingway’s novels inspired by World War I: A Farewell to Arms and Across the River and into the Trees. In the other four rooms, the visitor learns about the main phases of the Great War and the participation of Americans in the conflict with previously unpublished documents and photographs. During the Great War, Ernest Hemingway was quartered as an ambulance driver at Villa Ca’ Erizzo. For this reason decided to dedicate this important historical and cultural place to him. Over the years, we have patiently collected a significant amount of photographic archival material, first editions of Hemingway Italian and other languages, along with rare ad original magazines. 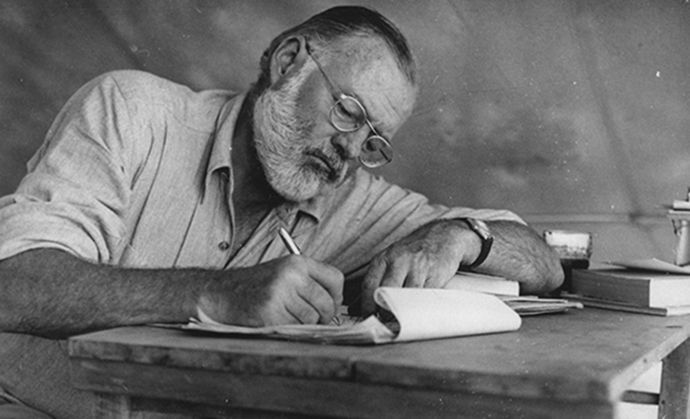 The museum foundation aims to become a place devoted to study Hemingway's biographical and literary connections with Italy. 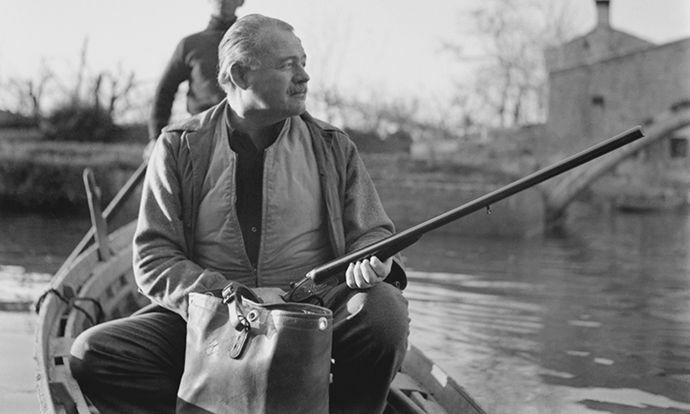 Ernest Hemingway inherited his father’s love for the wild and uncontaminated nature, as well as his passion for all open air activities, especially hunting and fishing. Over the years Hemingway hunted and fished around the world, including South America, Africa and Asia. He came repeatedly and for long periods to Italy and Veneto where he was guest of Baron Raimondo Franchetti in Torcello and remained fascinated by the lagoon. In one of the rooms of the museum, the visitor is welcomed by a full size mannequin of Hemingway and an evocative reproduction of a picture the writer took during one of his last African safaris.